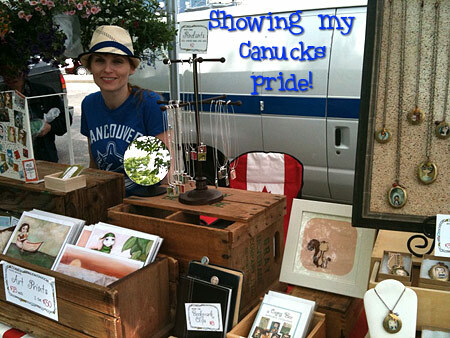 I had my first day of selling at the Vancouver Farmers Market on Wednesday, and despite grey skies, a bit of rain AND missing the first game of the Stanley Cup hockey finals, it was a wonderful afternoon. 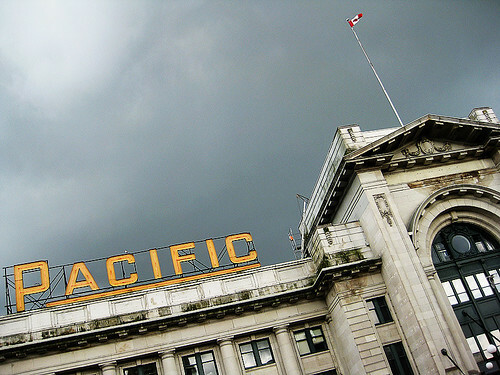 The Vancouver markets take place in 4 different locations on various days of the week, so Wednesday afternoon means the Main Street Farmers Market is in full swing in front of the train station (right across from the Skytrain station). I was showing my Canucks pride & listening to the game via the radio during the market, but managed to race home to catch the last period. And the only goal in the game! Yay! Despite the ominous looking grey skies, the sun managed to hold strong for the beginning & end of the market day, with a short cloudburst in the middle. I stayed dry under my tent & was counting my blessings that I didn’t have to set up my brand new tent for the very first time in the rain. Shopping for locally grown strawberries, peppers & tomatoes, however, is just dandy in the rain. I very nearly spent all of my earnings on groceries! 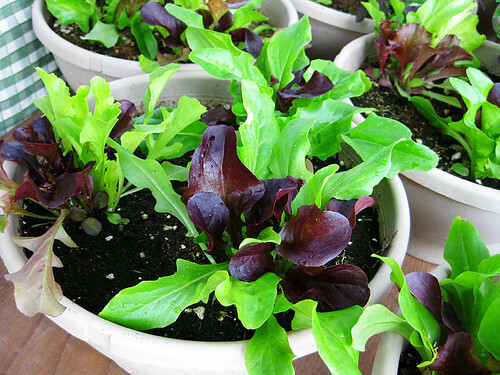 One thing I didn’t buy, but plan to as soon as I get my balcony organized & set up for container gardening, is one of these lettuce bowls. You keep plucking off the outside leaves as they get bigger (leaving the hearts intact) & you’ll have fresh salad fixings grown right at home. How awesome is that? 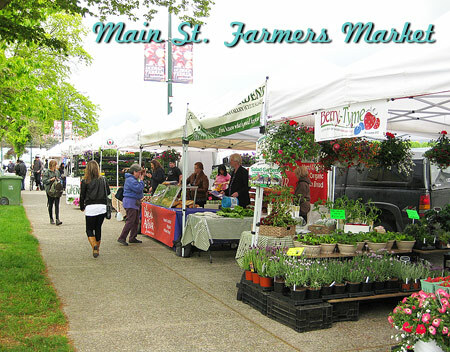 Next up for me is the Kitsilano Farmers Market on Sunday, June 5th. 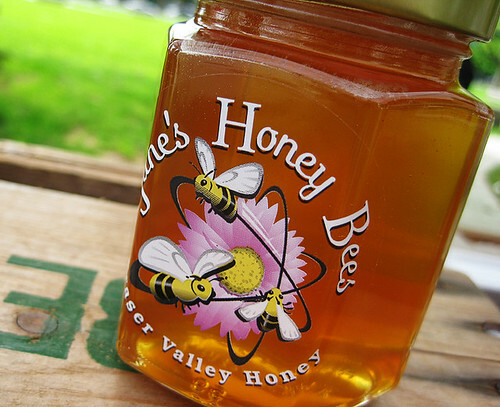 I’ll be back at the Main Street Farmers Market on June 15th. 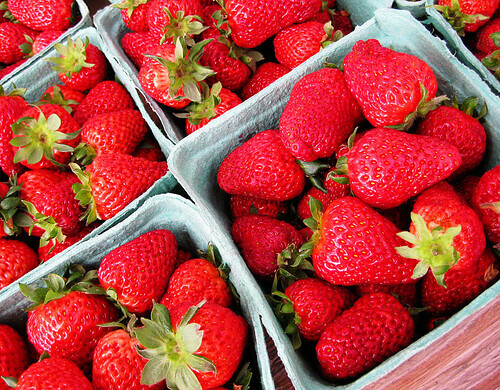 (Times & locations of Vancouver Farmers Markets.) Hope to see you there!